No complaints received yet on price hike, says Ministry | Daily Express Online, Sabah, Malaysia. Keningau: The Ministry of Domestic Trade and Consumer Affairs (KPDNHEP) Sabah has not received any complaints from consumers regarding price increase after the implementation of the Sale and Service Tax (SST) on Sept 1. Deputy Director and Sabah's enforcement chief, Ravichandran Vadivellu, said it would not compromise with any trader trying to take advantage. 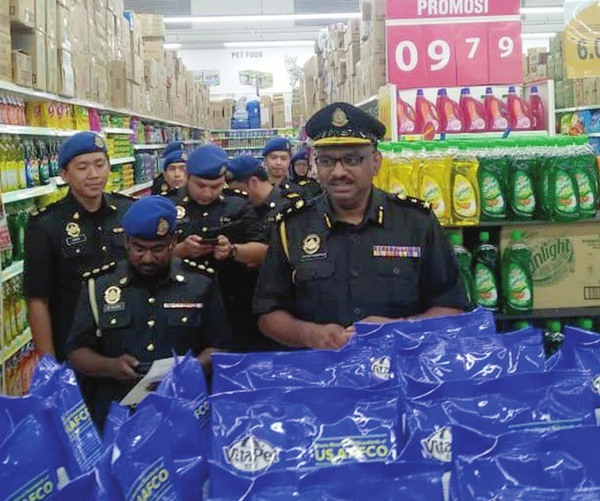 "Strict action will be taken under the Price Control and Anti-Profiteering Act to ensure the prices of goods comply with existing legislation"
He was speaking to the media after conducting Ops Catut 5.0 with the Royal Malaysian Customs Department (JKDM) on several premises here, Tuesday. He said KPDNHEP Sabah has checked 311 business premises involving 8,000 types of consumer goods and two premises, a car service centre in Kota Kinabalu and a wholesaler in Keningau have been notified under Section 21 of the Price Control and Anti- Profiteering Act. He said besides the operations will continue until the end of this year.